Agitated students of Viqarunnisa Noon School and College have announced to postpone and their protest over the suicide of 15-year-old Aritree Adhikari. The students had been demonstrating in front of the school’s main campus on the capital’s Bailey Road for the third consecutive day on Thursday (Dec 6) pressing a six-point demand. The announcement came after a meeting between the students and the school’s governing body on Thursday afternoon. 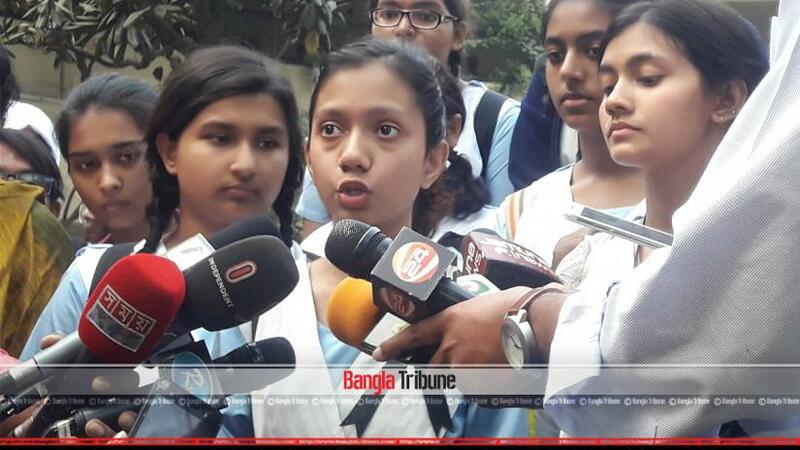 Anushka Roy, one of the protesting students, told Bangla Tribune, “Almost all of our demands have been met. However, demands no. 1 and 5 are out of the governing body’s authority requiring ministerial probe. “We have postponed out protest and will sit for the examination from tomorrow,” she said. On Monday (Dec 3), Aritree was found hanging from the ceiling of her Shantinagar home hours after she and her parents were allegedly humiliated by some teachers of the school on accusation of cheating an exam. The death and the subsequent agitation, joined by parents, rocked the 66-year-old institute with demonstrations erupting from the next day. In a dramatic development, police arrested one of the three Viqarunnisa teachers, who are charged with provoking a student to take her own life, late on Wednesday. Earlier in the day, school authorities sacked Acting Principal Nazneen Ferdous, class teacher Hasna Hena, and morning shift in-charge Zinat Akhtar after Aritree's suicide sparked anger. Later in the night, police arrested Hena, who was in-charge of the ninth grader’s class, at her Uttara home in the capital. These actions came hours after the government scrapped benefits for the teachers under its monthly pay order (MPO) scheme and Education Minister Nurul Islam Nahid instructed the school’s governing body to fire the teachers. On Thursday, a court in Dhaka sent Hasna Hena to jail in the case filed over the suicide of Aritree.